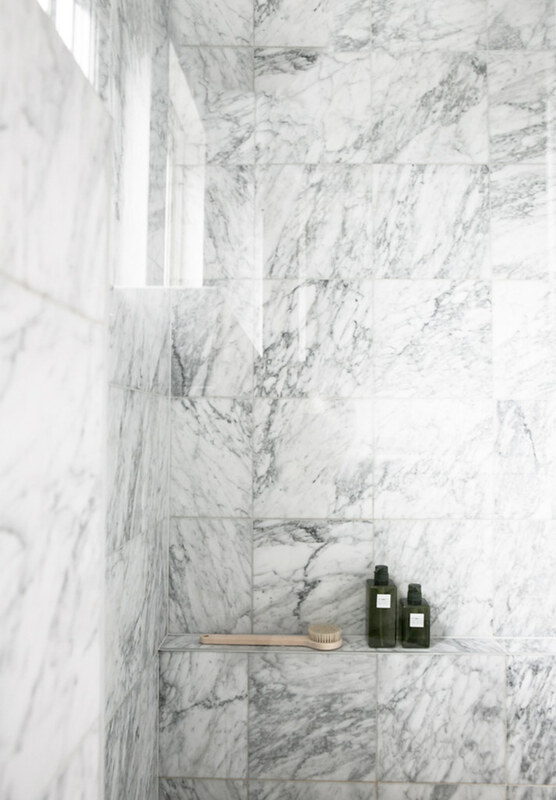 All marble bathroom wall with a built in shelf, the very symbol of convenience. 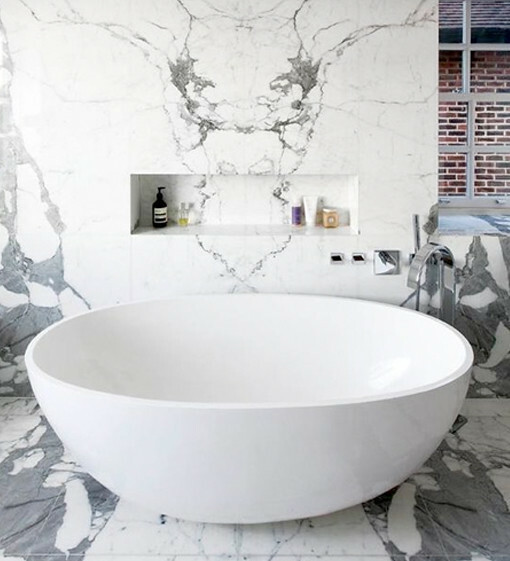 Large floor- and wall pattern with specks of grey and a marble bench next to the shower. 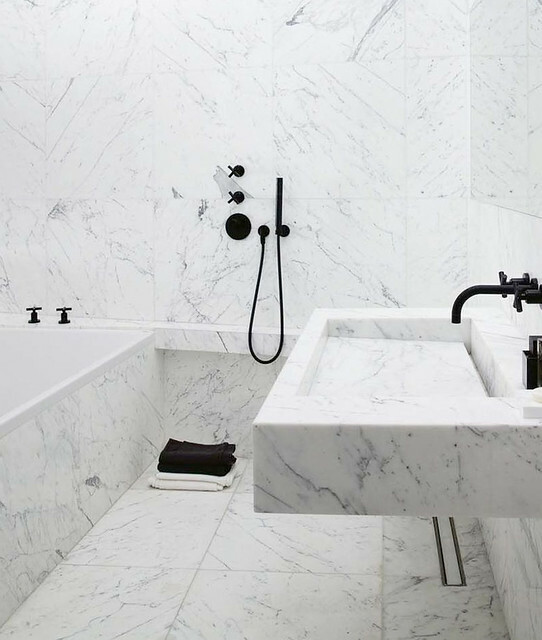 All marble with black taps. 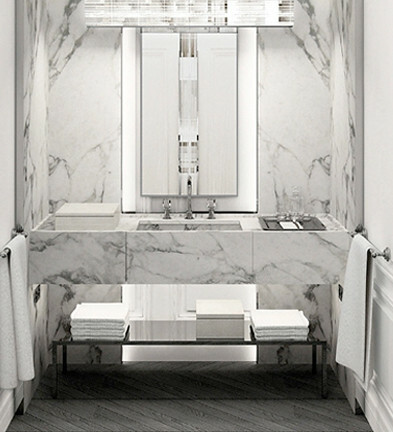 Square tub and a somewhat art deco-ish sink area with nice lightning and symmetrical features. This is the result of some modest pinterest tripping. Well, you know what they say – if you can dream it, you can be it. Or take a bath in it. 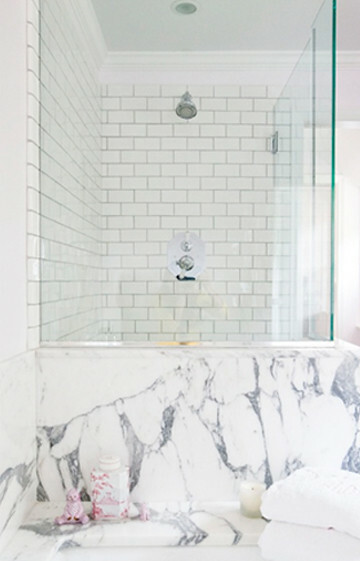 I’m still not over the carrara marble in carefully arranged instagram snaps and interior details (like lamps etc). 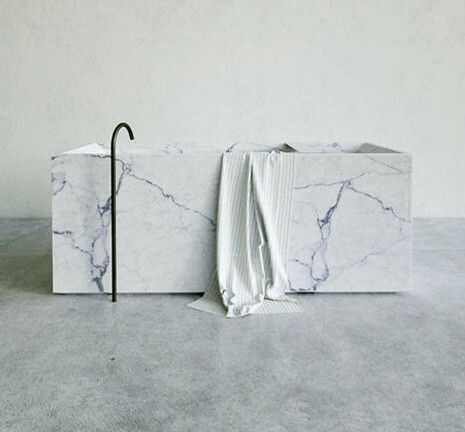 It’s just that now, I’ve moved on to bigger pictures: marble covering a whole room or flooring area. I thought this would be a trend that would fade quicker. I guess I proved myself wrong by overdoing it slightly. At least it’s just on pinterest for now.